I put this piece out for St Valentines Day in 2010. 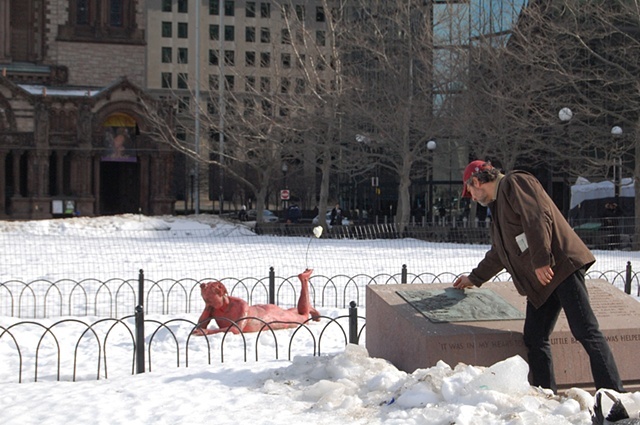 It was a one day installation in Copley Square, Boston Ma. That is Chuck S. in the photo. The installation of the piece was dedicated to my friend Bill Evans.